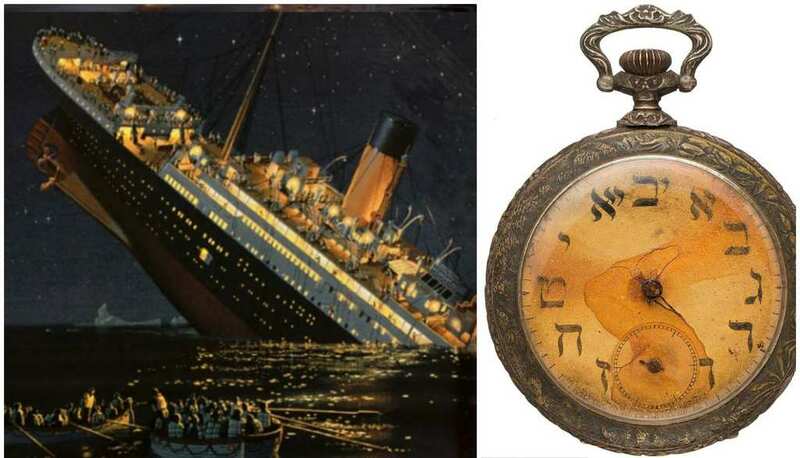 A pocket watch that sunk along with its owner on the Titanic recently sold at an auction in Dallas, Texas for much more than anyone estimated. 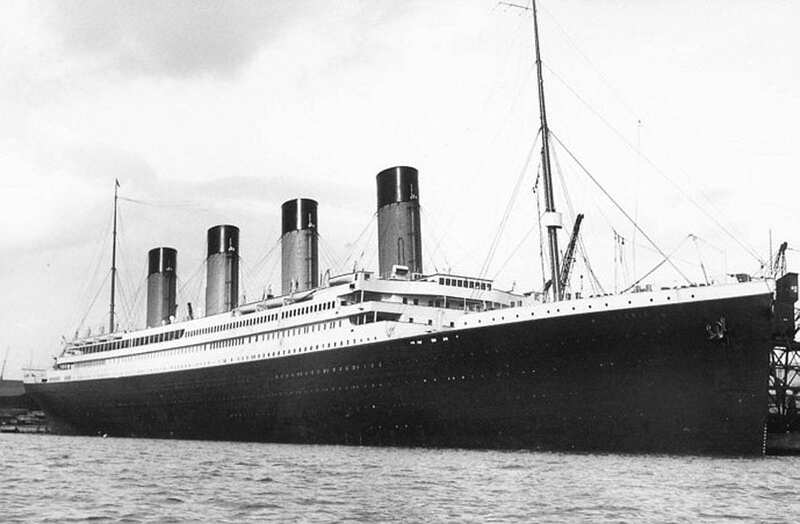 Shortly after midnight on April 15, 1912, the RMS Titanic sunk after it hit an iceberg in the Atlantic Ocean. Women and children were whisked off to lifeboats first, among them Miriam Kantor. Although she left behind a husband who drowned, his belongings, including the pocket watch, were recovered later and returned to the family. Sinai and Miriam Kantor were Jews from Vitebsk in Belarussia, formerly the Russian Empire, who emigrated to the U.S. in 1912. The pair bought second class tickets for the Titanic for £26, destined for New York. They planned to study dentistry and medicine. Sinai dealt in furs, so he brought along valuable furs in the hopes of selling them once he arrived in America with his wife. Although Miriam survived to make a new life for herself in the U.S., only his body was recovered, to be buried in Mount Sinai Cemetery in Queens, New York. After she was rescued, Miriam worked to return her husband’s body to her. Rescue efforts were successful, and the body was brought to her. Rescuers also recovered belongings that were then given to Miriam, including the pocket watch. It remained in the family as an heirloom. The letters featured on the incredible timepiece are in Hebrew, the liturgical language of the Jewish people. The precise time it stopped cannot be known exactly after seawater eroded the hands of the Swiss watch, but it was likely not much long after the Titanic sank at 1:20 am. 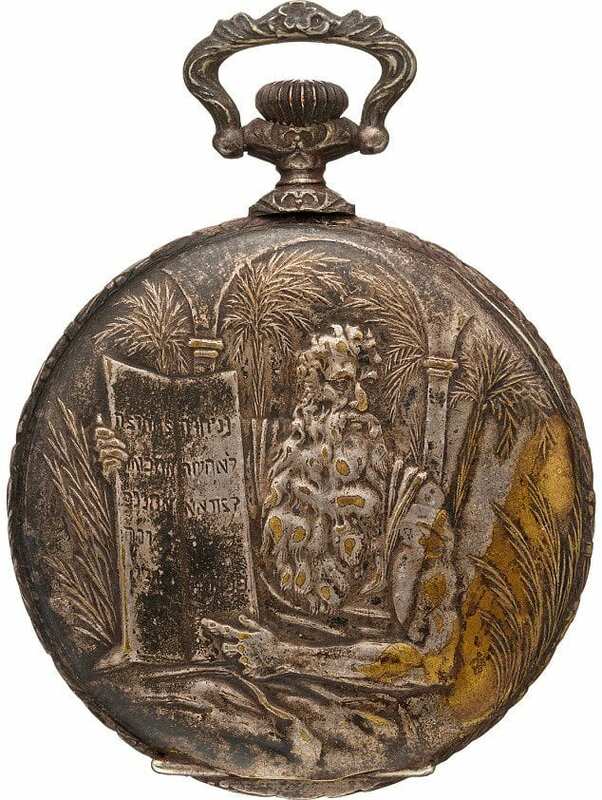 Moses appears along with the Ten Commandments on the reverse side of the pocket watch. “It’s not an expensive watch, it’s a silver plated brass watch,” explained Don Ackerman, Heritage Auctions Historical Consignment Director. “The guy probably didn’t have a whole lot of money, so it was something he could afford that cherished his Jewish identity and appealed to him.” The erosion here is clear in the picture where the silver is worn away on the bottom right of the watch, revealing brass underneath. “The background story to something like this adds to the value,” Don Ackerman said. “It would be a little nicer if the hands hadn’t rusted off and you could see what time they stopped working. But sometimes the imperfections add to the value; if it was in perfect condition people would question it.” The hefty price it fetched at the auction was due in no small part to that. “It’s a piece that was aboard the ship and a documented history from the family makes this a bittersweet and really rare opportunity for collectors,” Ackerman said. Even before the infamous disaster, the Titanic gripped people’s imaginations. Ironically, it was dubbed “unsinkable” when it was constructed. This ship was one of three Olympic class ships operated by the White Star Line company. 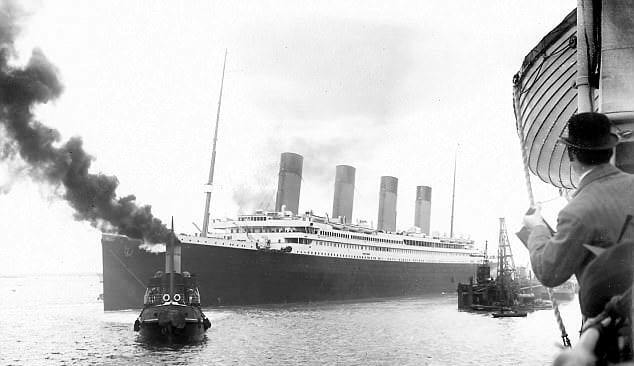 The Titanic, with Sinai and Miriam Kantor onboard, set off from Southampton port to New York City on April 10, 1912. 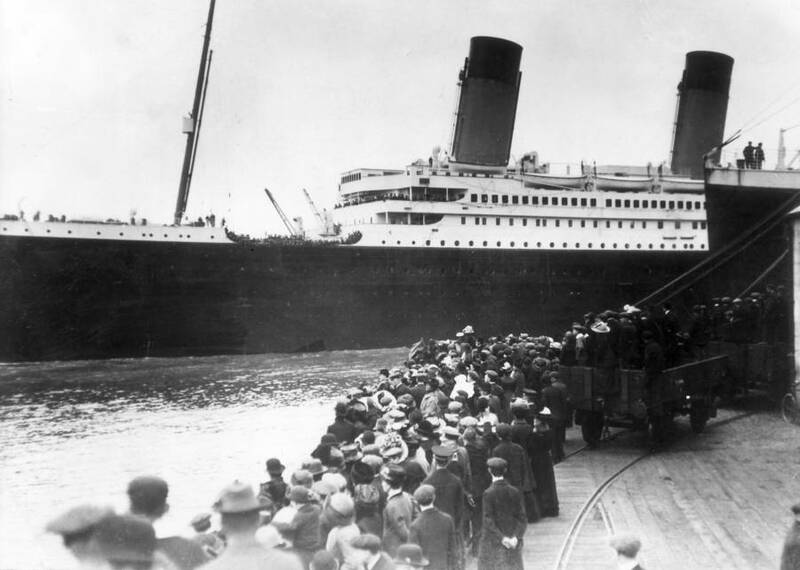 At slightly larger than its sister vessel, the RMS Olympic, the Titanic was the largest ship in the world at the time of its maiden voyage—which also turned out to be its last voyage. 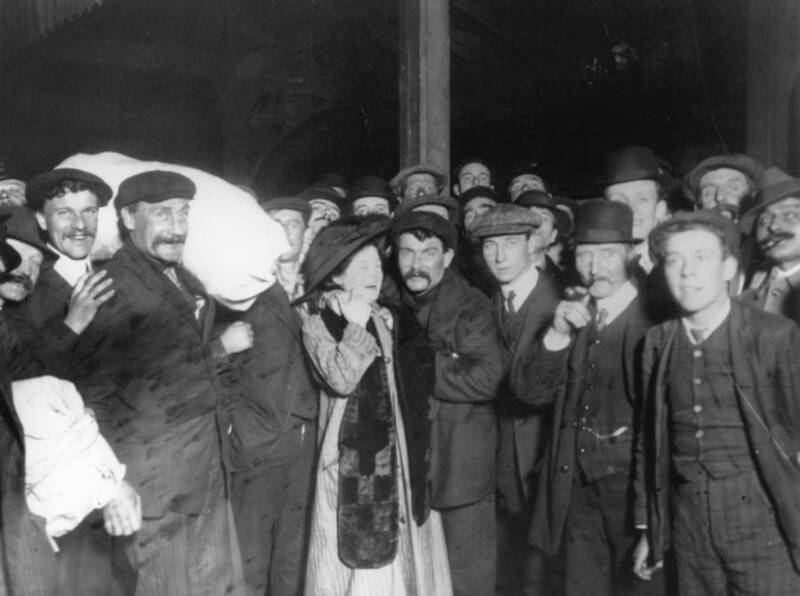 Carrying the Kantors and their second-class tickets, the Titanic embarked for New York on April 10, 1912. Although these were doubtless better than third-class tickets, commonly referred to as “steerage,” even they enjoyed conditions onboard considered to be above and beyond what an ocean liner offered at the time. The vessel was manned by a crew of 892, who served 2,435 passengers onboard. The 882-foot-long steamship’s interior was inspired by the Ritz Hotel in London and featured an onboard gym, pool, Turkish bath, kennel, and squash court. 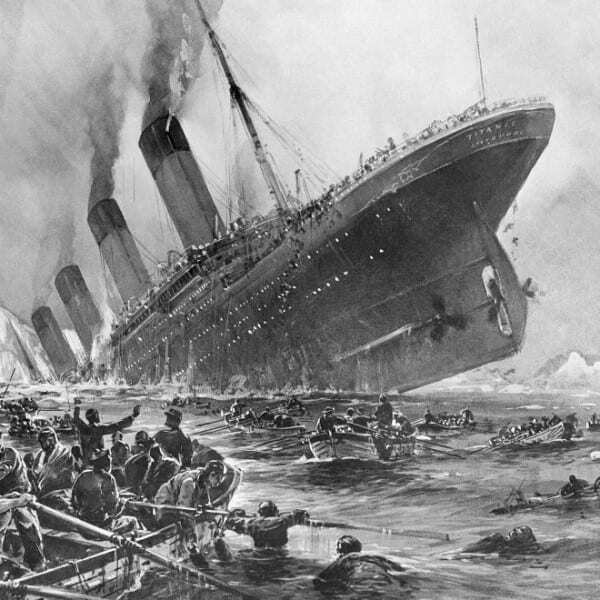 In a bizarre twist of fate, an 1898 novel titled The Wreck of the Titan: Or, Futility, by American writer Morgan Robertson, tells a tale with strikingly uncanny similarities to the sinking of the Titanic. 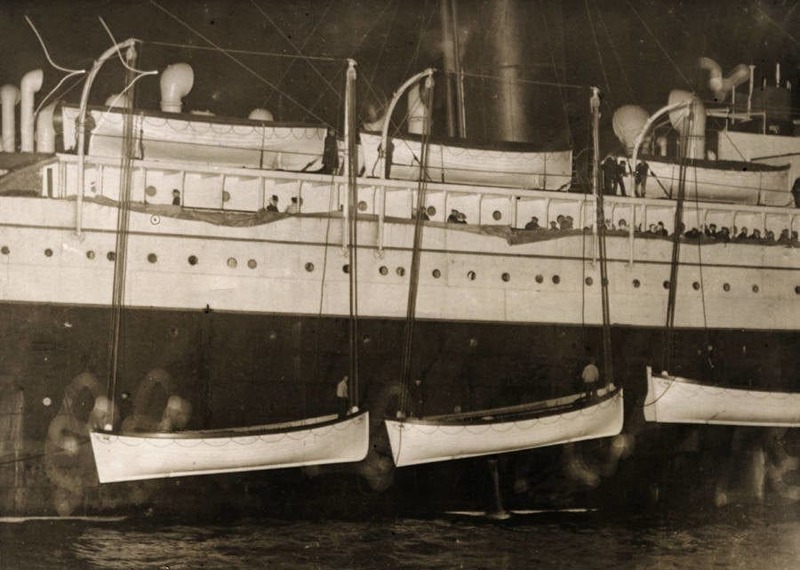 Both ships also lacked enough lifeboats, with Titan carrying 24 lifeboats while the Titanic had around 20, one of which appears in the picture below. Besides the similarity in the names, the Titan in Robertson’s story was almost the same size as the Titanic and, in the book’s first edition, the water displaced by the vessel amounted to 45,000 tons, compared to the Titanic’s 46,000 tons. That’s not the only bizarre coincidence. 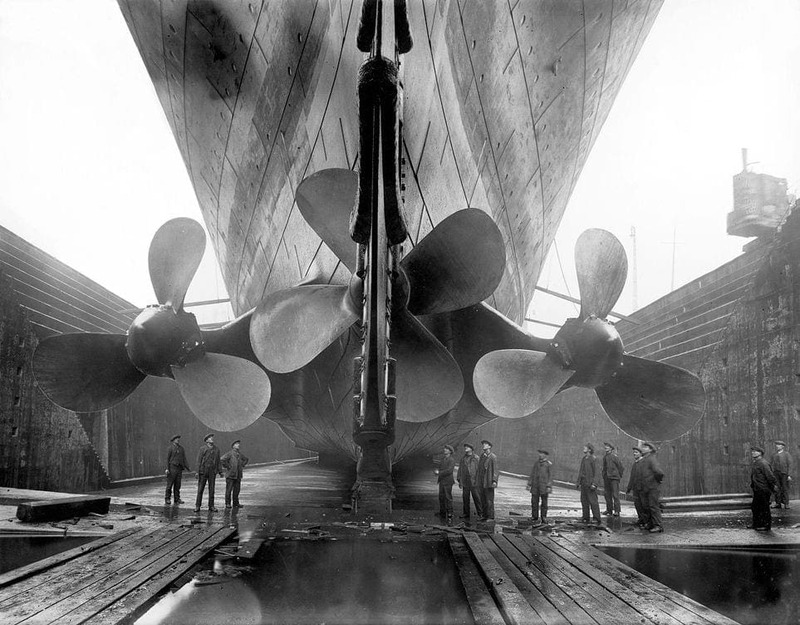 Both ships featured three triple screw propellers, as pictured below, and were deemed “unsinkable” before the tragedy. In addition, both steamships sunk after hitting icebergs on the right of the hull around midnight in April. The most shocking similarity is the fact that the ships both sank after hitting an iceberg 400 miles from Newfoundland. 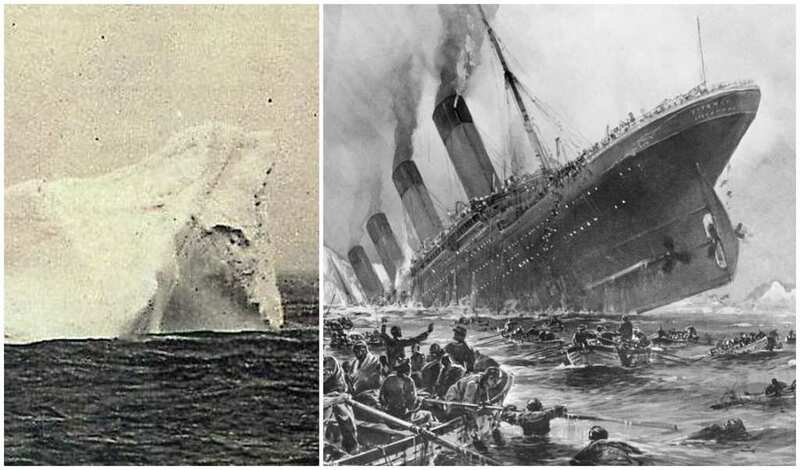 Robertson even almost got the speed right—the Titan hits an iceberg at 25 knots, while the Titanic hit it at 22.5 knots. Now that’s a coincidence. Although many said that Robertson must have clairvoyance, or the ability to read the future, he denied this and credited his ostensible prediction with an extensive knowledge of maritime trends at the time and shipbuilding. Whatever lies behind the coincidence, the tragedy became one of the most well-known ship sinkings ever. It is estimated that over 1,500 people died in the tragedy, with only 705 surviving the disaster. Many works of art, like this one by Willy Stöwer for the German paper Die Gartenlaube, attempted to depict the horror. In the morning after the tragedy, passengers onboard the German SS Prinz Adalbert noticed a red smear on the iceberg pictured in the image below. They were still unaware of what had transpired the night before, and this is one of the most likely candidates for the iceberg that sunk the ship. After the tragedy, images of icebergs were in demand by newspapers seeking an authentic image of the block of ice that sunk the unsinkable ship and led to the death of so many. 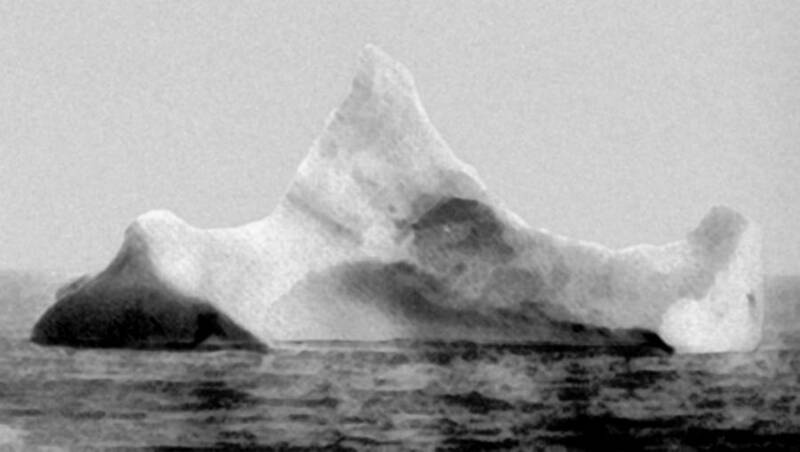 This is another iceberg believed to be the one hit by the Titanic. The picture was taken five days later, on board the German ship Bremen. This one matched the descriptions given by survivors, but in fact is it uncertain which iceberg the Titanic hit. Survivors describe one prominent peak, or possibly two. From certain angles, both this iceberg and the previous one could be candidates. There was an unusually high number of icebergs that had traveled that far south that year, which is attributed to climatic conditions. 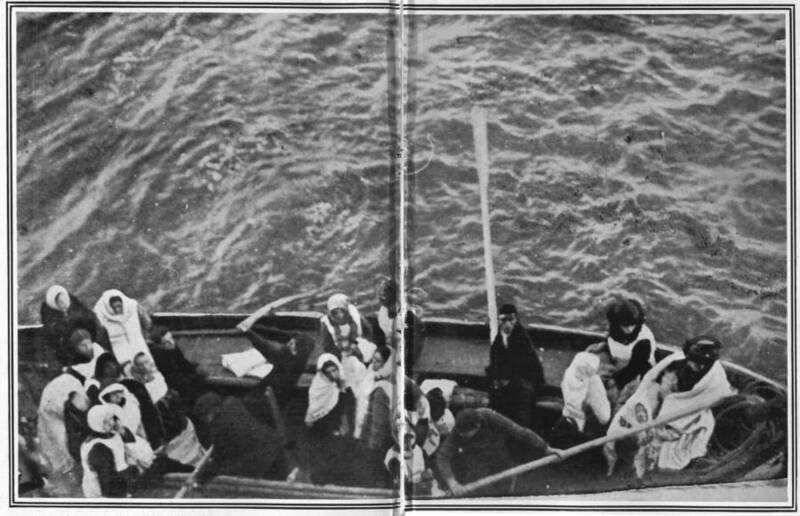 A controversial figure in the tragedy was the captain, Edward Smith, who appears in the photograph to the right of another officer on the Titanic. Smith was informed shortly after the Titanic hit the iceberg that the foremost five compartments of the ship had been breached and that the ship would sink in under two hours. Some blamed him for not taking command and ordering his crew to organize the evacuation immediately. Precious time was wasted, and the lack of alarm meant many were still in their rooms on the ship when it went under. On the other hand, another survivor later recalled that Captain Smith “was doing everything in his power to get women in these boats, and to see that they were lowered properly. 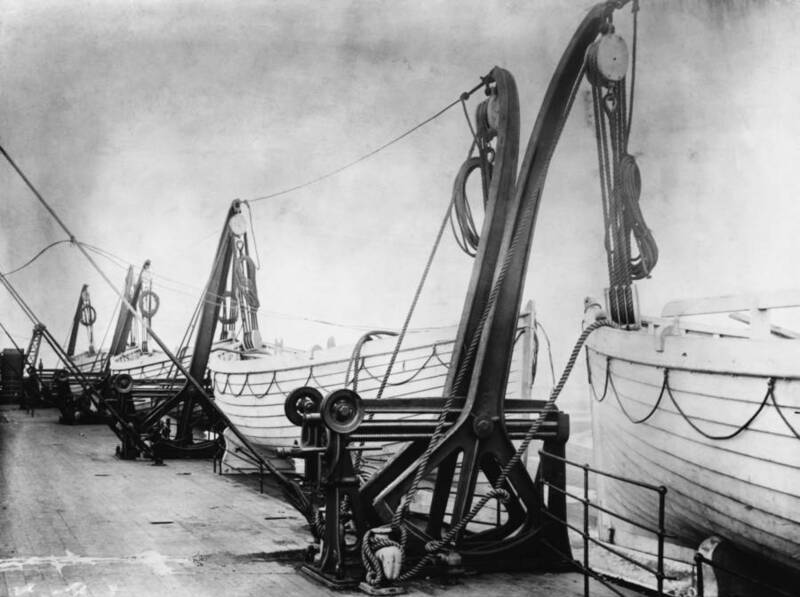 I thought he was doing his duty in regard to the lowering of the boats.” Although it is easy to pass judgment on Smith for not ensuring the full capacity of the lifeboats was reached before the Titanic sunk, he certainly had a role in ensuring the evacuation was relatively calm. In any case, he was no longer alive to defend his actions. 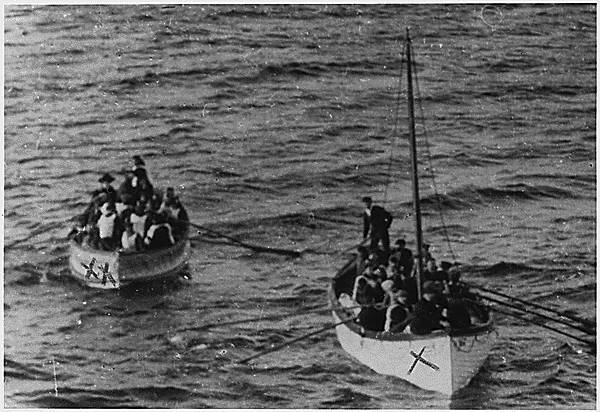 As the Titanic went down along with some 1,500 men, women, and children, the survivors were waiting to be rescued in the open waters. The RMS Carpathia, en route from New York to Austria-Hungary, picked up the distress call. 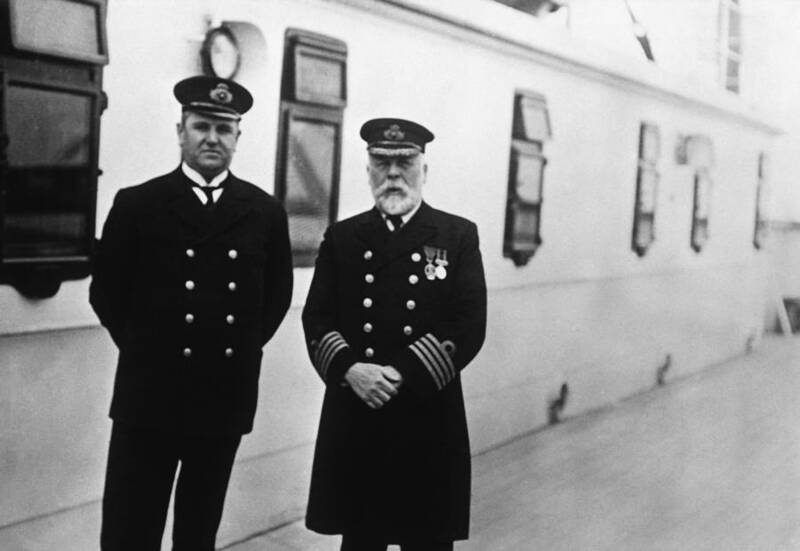 Although the officers on the bridge were skeptical about the seriousness of the distress call, Captain Arthur Henry Rostron was woken up and directed the ship to the Titanic’s location. 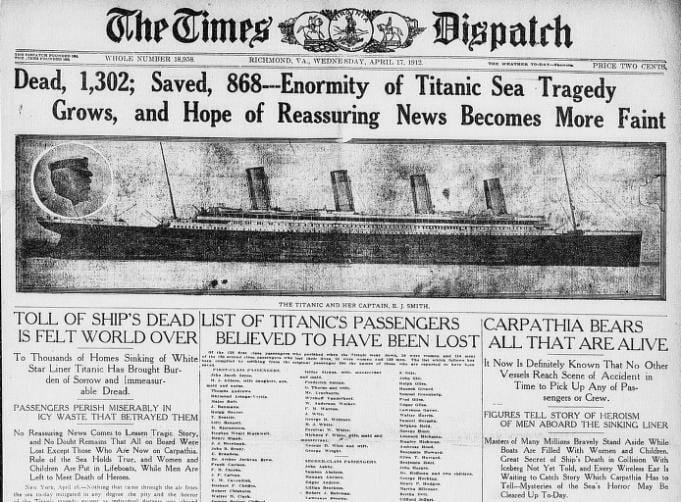 The Titanic sunk at 1:20 am, and the survivors waited until 4:00 am when the Carpathia reached the location the distress call was given. As Carpathia spent the next four and a half hours collecting survivors from lifeboats, the crew and the passengers helped them in any way they could. By 9:00 am, all those still living had been taken. Most of those on the ship were already dead. Captain Rostron gave the order to set off once again, deciding to drop the survivors back off in New York. The ship refrained from any response to direct calls from land for additional information while the White Star Line company was left to deal with publicity. To thank them for saving their lives, survivors awarded bronze medals to crew members and silver medals to officers. 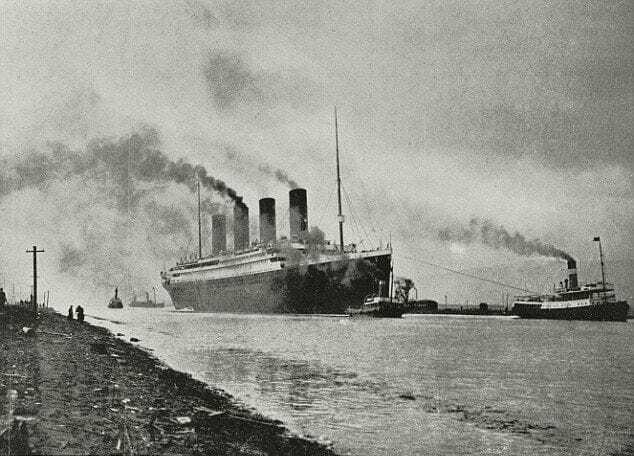 Captain Rostron was thanked with a gold medal and silver cup, in addition to being knighted by King George V. In the historical picture below, the lifeboats from the Titanic can be seen on the Carpathia as it enters New York Harbor after the tragedy. Following the egregious loss of life, public outcry brought governments together for international action to ensure such tragedies are prevented. 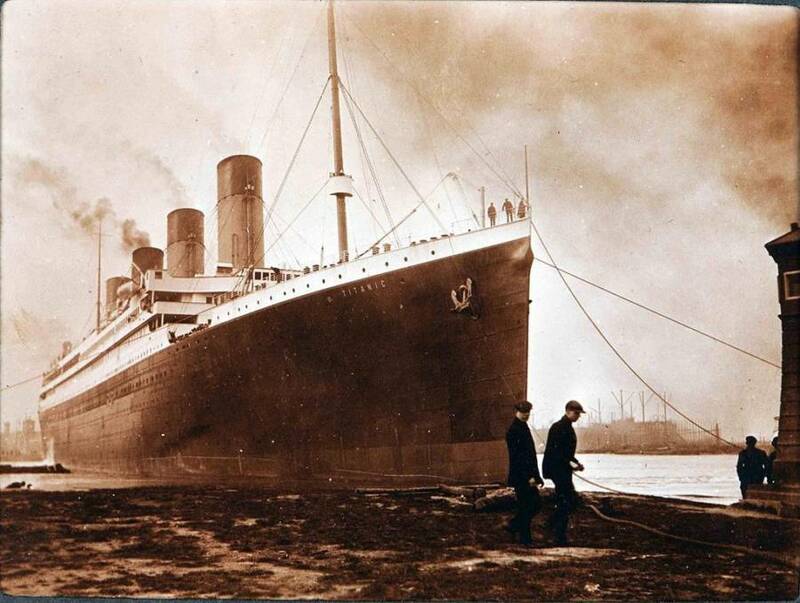 A year after the Titanic sank, the first international convention for Safety Of Life At Sea (SOLAS) was held. Shipping standards were decided upon that increased safety on the high seas in a treaty signed in 1914. In addition, the International Ice Patrol was formed, which patrols the northern Atlantic to report on iceberg location for safety. 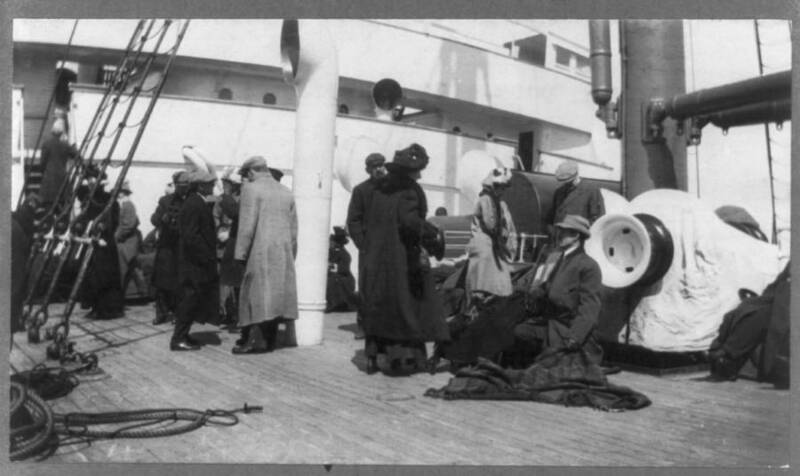 Indeed, the fact that so few people survived the Titanic, such as those pictured below on the deck of the Carpathia, prompted many important changes in maritime safety regulations. There were many incredible stories from the Titanic, such as the fact that the ship’s band played until the very end to keep passengers calm, to their own peril. Miriam Kantor’s story is what interests us, as one of the lucky ones. She was saved by the Carpathia after she floated around on lifeboat 12. 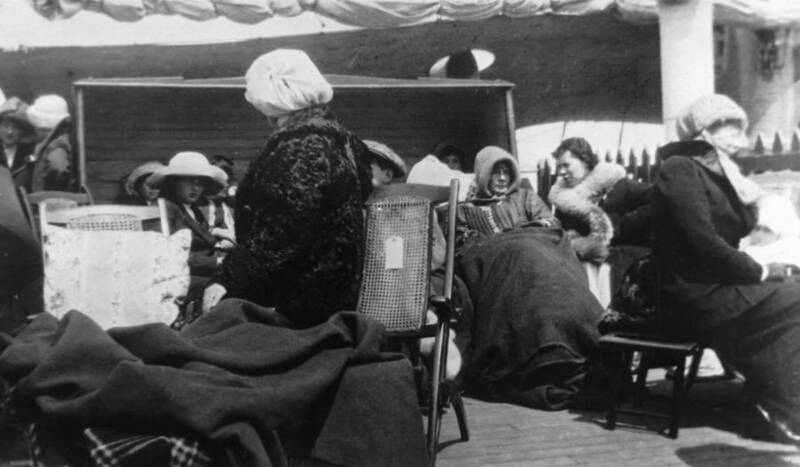 This was the last boat to be taken by the Carpathia, and mostly held women with second-class tickets. 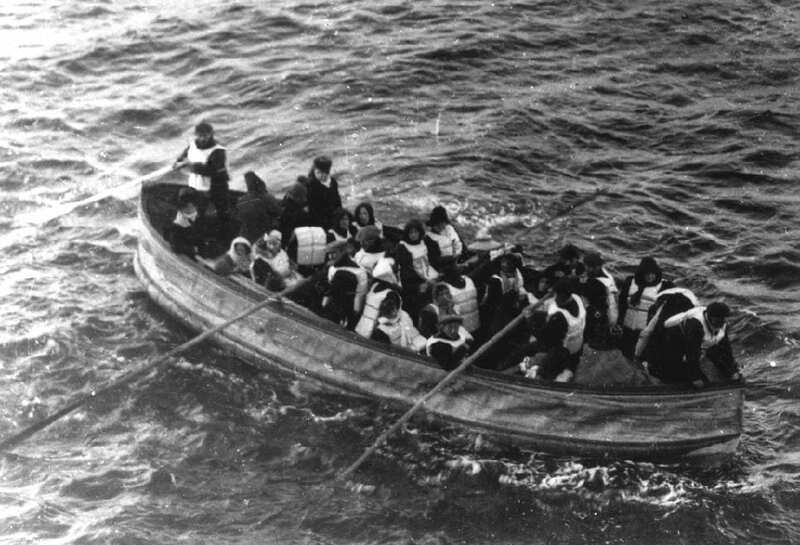 In the picture below are women survivors on the deck of the Carpathia. Unlike survivors who were united with loved ones, once Miriam landed in New York, she had to cope with the loss of her husband. Eventually, she moved to be nearer to family in Connecticut and remarried. For the rest of her life, Miriam ensured flowers were laid on Sinai’s grave every April 15. 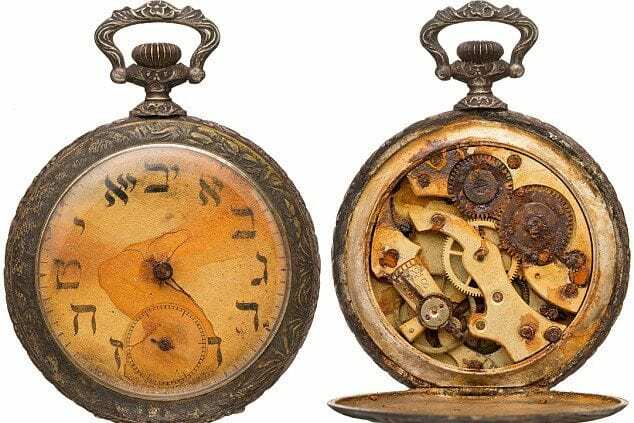 The pocket watch, along with Sinai’s other belongings, stayed in Miriam’s family until an anonymous family member sold it. This prized possession reminded Miriam of her love for her first husband. The real question is; how much did this priceless heirloom sell for? 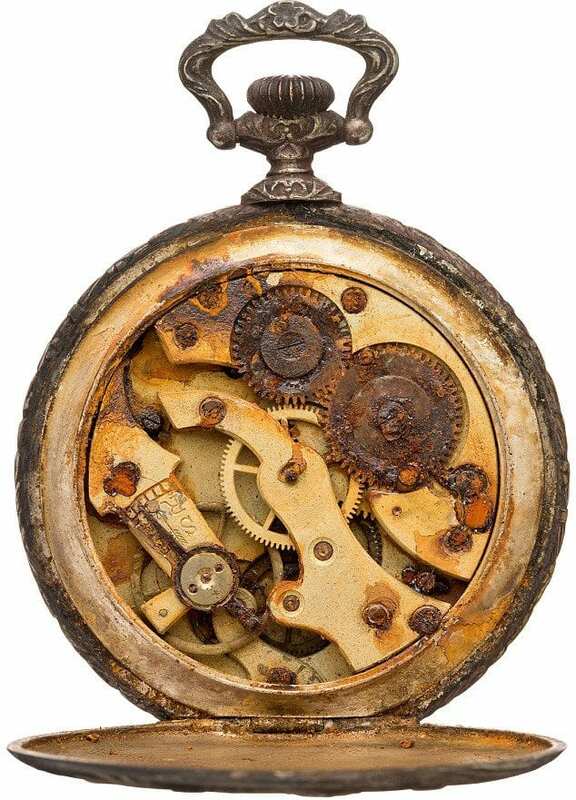 The pocket watch sold for far more than $20,000, fetching $57,500 at the auction! That’s a lot for silver-covered brass, but its association with the Titanic makes it worth all the more. The lucky buyer was John Miottel, a collector of historic items who has three other watches from the Titanic. He says he plans on adding it to a display in the San Francisco Bay Area museum’s Ocean Liner section. This is far from the most expensive item auctioned from the Titanic. Last year, the violin belonging to the bandleader on the ship was sold for $1.7 million!